THE ADVISORS ALLIANCE! TRIBES and EMPIRES, Storm of Prophecy! RUYI's ROYAL LOVE! (Huo Wallace!) We need LICENSES! THE FAN CHANNEL WENT LIVE! we need the LICENSE! Please spread the word, please help! YOUR MIGHTY PEN IS NEEDED! ADVISORS FAN CHANNEL IS LIVE! Also RULE THE WORLD and LOST LOVE IN TIMES! We...will do what we can, build great teams, and HOPE WE GET THE LICENSES! and here is the invitation to all of you, my fellow fans and volunteers! One of the most anticipated Chinese historical dramas of 2017 needs your help to get licensed. The Advisors Alliance brings together a star-studded ensemble, which includes Wu Xiu Bo (The Patriot Yue Fei, Liu Tao (Nirvana in Fire), Janine Zhang (Empress of China), Li Chen , Zhang Zhixi (Three Heroes and Five Gallants), Tang Yixin (Legend of the Qing Qiu Fox) and many more. <img style="display: block; margin-left: auto; margin-right: auto;"
â€œThe Advisors Allianceâ€� is a historical epic chronicling the life of Sima Yi, a famous politician during the Three Kingdoms era of Chinese history. We are recruiting experienced segmenters, Mandarin-English subtitlers, and and other Language Moderators. To be a segmenter, subtitler or LanguageÂ Moderator, please contact the Channel Manager, deadliftdiva_548. To join any other language team, check outÂ the channel'sÂ cover page to contact your respective Language Moderator. @sophie2you what - like this? I think it's down there... Yup! the form is there plus a bonus of Liu Tao and really cool gifs as a bonus. Congratulation on getting the channel! I sent in the form! Xie Xie!! and JIA YOU! Our best effort forward, we will have NO REGRETS! Really? I think I actually found it looking for "advisors". Let me check, and I'll be back in a few. it won't come up on the pull down search though for some weird reason - so I put up a link in case it frustrates people. a copy of the trailer is in the comments there if you haven't seen it yet...and that's an early one still. I really can't wait for this one - to work on it AND watch it! I actually noticed that lots of fan channels do not appear in the pull down search, but also some altready aired / on air do not at times... Must be a bug. And now, for some odd reason...it's working PERFECTLY. Weird, must have been a bug! Advisors now comes up, so does Rule the World, Lost Love in Times, Ruler: Master of the Mask...odd huh? Looks fixed for the moment! A virtual glazed to the engineer who did the fix. AA is being split into two parts with the first starting APRIL OR JULY! this means this drama is NOT SITTING. IT IS GOING TO START WHILE THE POST PRODUCTION IS BEING COMPLETED! It would be nice! Let's cross our fingers!! All we can do is get the forms in and HOPE viki buys it for us - we want to work on it and watch it! And I can't get it to come up here in USA right now, I have an on air I am helping segment as soon as it gets here....(I laughingly picture some guy swimming with a film can held overhead with sharks chasing him all the way from Korea... ) Yeah I am not a morning person, this means my humor is a bit er...unusual this time of day. Let me know what you see. "OFFICIAL" updates last one was Sept 2016...unofficial with end of filming pics 12/29/16 so....rumor mill is the ONLY info out right now! Hello everybody, i am new here it is my first time, i am french, sorry for my English and maybe misuderstanding, i am lookin f or news for Tribes and empires , does someone knows if we will be lucky soon to see it on rakutenviki ? Hi LBNL ... We didn't get the license for Tribes and Empires. 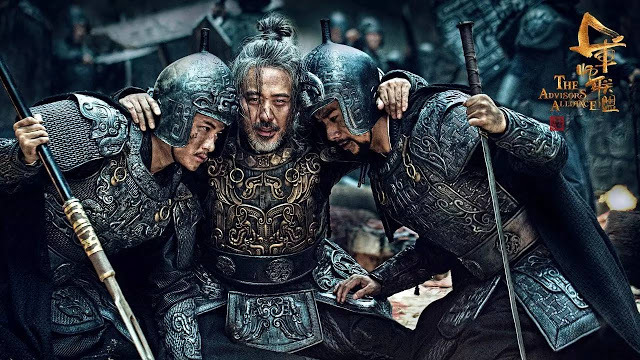 Check the Chinese genres, there's a whole slew of new martial arts dramas that might interest you. Advisors Alliance 1 and 2 aired on Chinese TV in Korea...I saw some legally and most illegally. Thank you so much for telling me about these! I absolutely loved them.